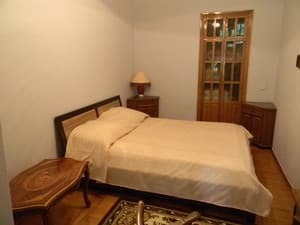 Two-room apartments are located in the historical center of the city, not far from the embankment. Lenin. The apartments are in close proximity to the sea (3-5 minutes walk) and are ideal for a family with children. Guests are offered accommodation in two spacious bedrooms that have everything you need for a comfortable stay. In one bedroom there is a comfortable double bed, in the other - a folding chair. The apartment has air conditioning, independent heating. 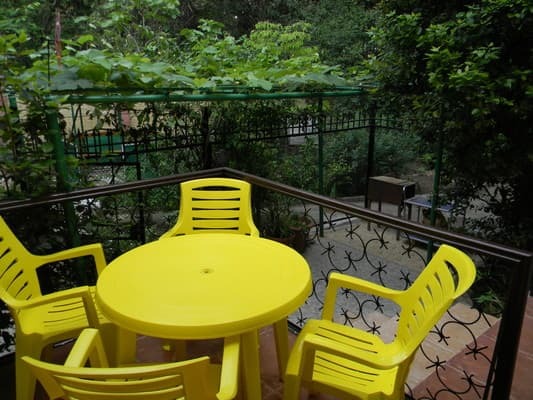 There is a fully equipped kitchen: gas stove, refrigerator, extractor fan, electric kettle. Guests can also use the washing machine. In the courtyard there is free parking for the car. The distance to the bus station of Yalta is 3.2 km. PRICES MAY CHANGE, IT IS REQUIRED TO RECEIVE INFORMATION FROM THE OPERATOR. 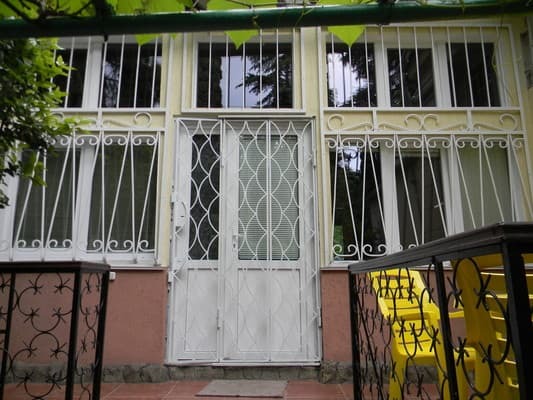 Description of the room: In the apartments there are two bedrooms (a double bed, a table, a TV, in one of the bedrooms there is a folding armchair), a kitchen with everything necessary: ​​a gas cooker, an extractor, a fridge, a kettle, dishes. The apartments are located in the historical center of Yalta near the embankment of. Lenin. To the sea - 3-5 minutes walk. Near the house are various cafes, restaurants, shops. Near the railway station of the city of Simferopol there are auto- and trolleybus stations. From there, by regular bus, fixed-route taxi or trolleybus number 52 you can get to Yalta in 1,5-2,5 hours. By car: from Simferopol, you need to go along the M-18 highway to the Angarsk pass, then through Alushta - along the upper intercity route (a good landmark so as not to get lost in Alushta - the wires of the intercity trolley bus), then along the upper, long-distance route (M-18) along the entire South Coast is still 41 km to Yalta.